Librarians are professional information wranglers. We ride the range, herding facts and fictions. We then organize, label and present that information to the public. It is for my patrons, my classroom and my audience to decide what truths lie within. As a society, we’re embroiled in an information wrangle that involves global players, the First Amendment, and the nature of truth. Some days, I need to take a breather. To sit by a stream and catalog deer antlers. Okay, that’s a fantasy, but I do turn to the natural world for renewal and grounding. Yet even there, I cannot be apolitical. I recreate on public land. I’ve had the privilege of wearing the badge of public land agencies. All the average person wants to do is picnic in a meadow, spot a rabbit, see a view unmarred by oil rigs. So, I fancy myself a Ranger Librarian. Ye shall know the truth. This ancient maxim is inscribed over the east entrance to the Knight Library at the University of Oregon, where I spent time as an undergraduate It’s where I connected with my state’s park system at a job fair, which led to my glorified title, “Seasonal Ranger Aid.” I pulled trash, I cleaned bathrooms, I politely smiled at the patrons who made surly statements about their tax dollars as I collected an entrance fee from them. A Ranger Librarian may indeed provide the public with toilet paper purchased in conjunction with the IRS. A Ranger Librarian also has a sacred contract with the public to provide comprehensible access to the wilderness of past, present, and future information. There are a variety of parallels between Ranger and Librarian, both silly and serious. As a ranger on public lands, the core mission is to preserve and protect natural and cultural resources for present and future generations. As a librarian, I preserve and protect a collection on behalf of patrons. I do trail maintenance by improving signage, weeding, and creating pathfinders. I even engage in a little search and rescue. Where’s that overdue book? Did you look under your bed? Your parrot got to it? Bring it in, and we’ll see if the book hospital can help. As librarians, we interpret human needs every day, and do our best to fulfill them. We create opportunities for patrons to make emotional and intellectual connections with the content we make available. I once inherited a fake campfire from a former school librarian. Gathering around fire to listen to the elders is an ancient practice. 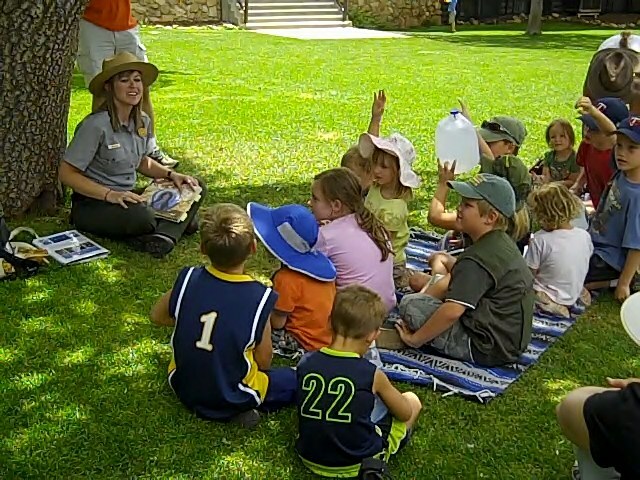 As a ranger, I read stories to young visitors on the South Rim of the Grand Canyon and told the Columbia River Gorge Formation story while working for Oregon State Parks. 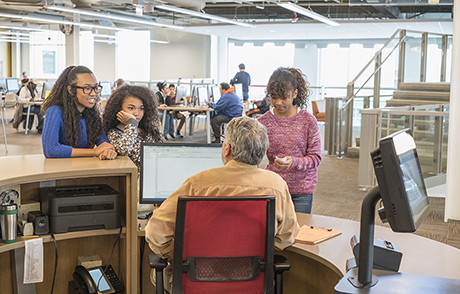 As librarians, we interpret human needs every day, and do our best to fulfill them. 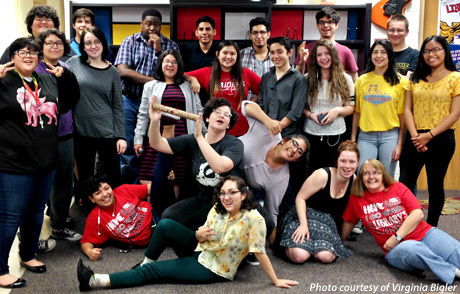 We create opportunities for patrons to make emotional and intellectual connections with the content we make available. Interpretive rangers facilitate the making of connections between visitors and the resources that dwell on public lands. Park rangers manage everything from wilderness patrol to crowd control. Law enforcement, when done right, protects parks and people. As a public librarian, managing patrons is more complex than shushing. As an elementary school librarian, “classroom management” (with all its agonies and ecstasies of human behavior) continues to be my biggest challenge. I learned about verbal judo while working for State Parks, before I learned about the parallel philosophy of Warren Graham’s Black Belt Librarian. Enforcement is an art, and ultimately, it’s about reading people. While working in a National Park one summer, the major object of my work was to streamline research permitting and create an information package that park managers could use to ensure research was useful, and did not adversely impact the subjects selected for study. As librarians, our instinct might be that there can never be too much research. Although those of us who have donned the white gloves in temperature controlled rooms to handle rare and fragile manuscripts understand that overhandling is an issue. I tell my students that research is the attempt to answer questions. When conducting research interviews with patrons, it usually takes a modest dialogue to arrive at the question the patron actually has. A Ranger Librarian seeks to elicit meaningful questions. I continue to have adventures on public lands--that expansive outdoor library populated with irreplaceable flora and fauna. Both the librarian and the ranger in me speak loudly in defense of cooperative ownership, so the human in all of us can go to that meadow and read the truth for ourselves. 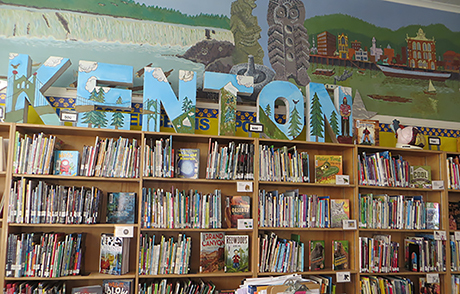 Jenny Gapp is currently the Teacher Librarian at Peninsula Elementary in Portland, Oregon. This is her fifteenth year working in school libraries. To date, she has spent four seasons as an Oregon State Parks Ranger Assistant. She spent two grand summers adventuring with National Parks. One as a Cultural Resources Intern in Grand Teton National Park and the second as a Teacher Ranger Teacher in Grand Canyon National Park. When she isn’t affixing spine labels and discussing digital citizenship with students, you can find her on a trail (with a book in her backpack) way out west.